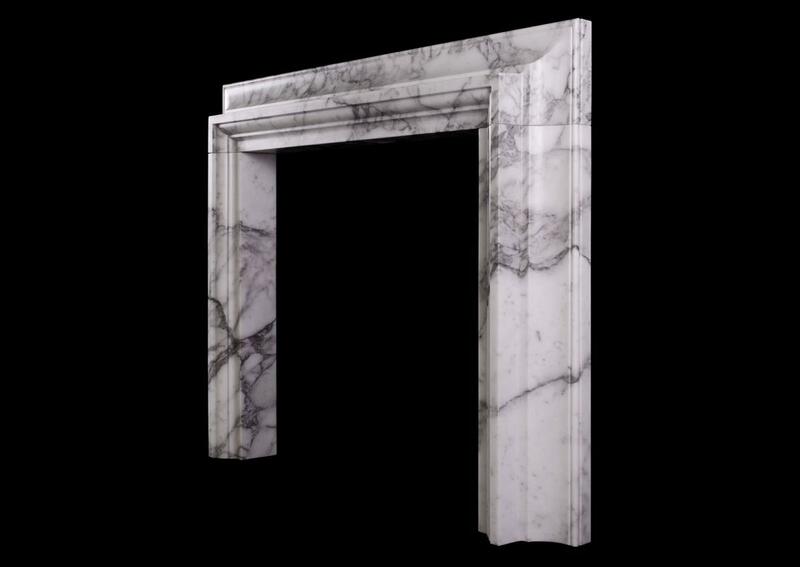 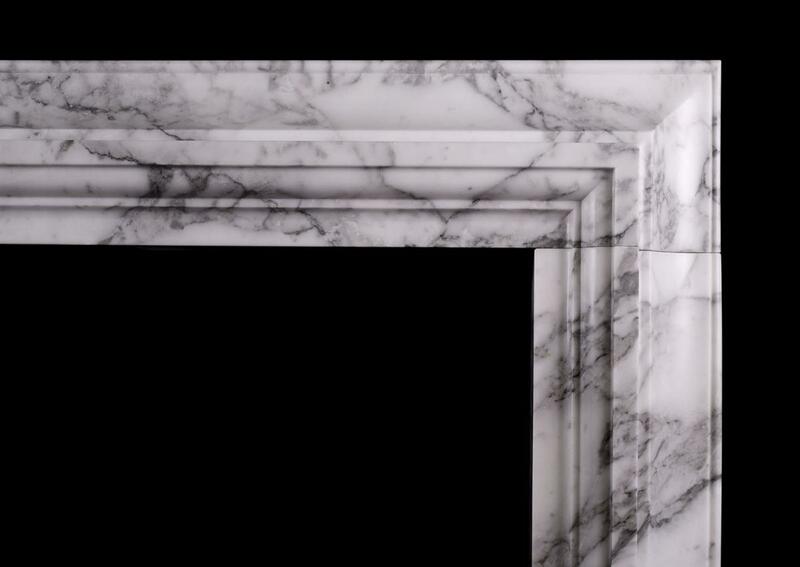 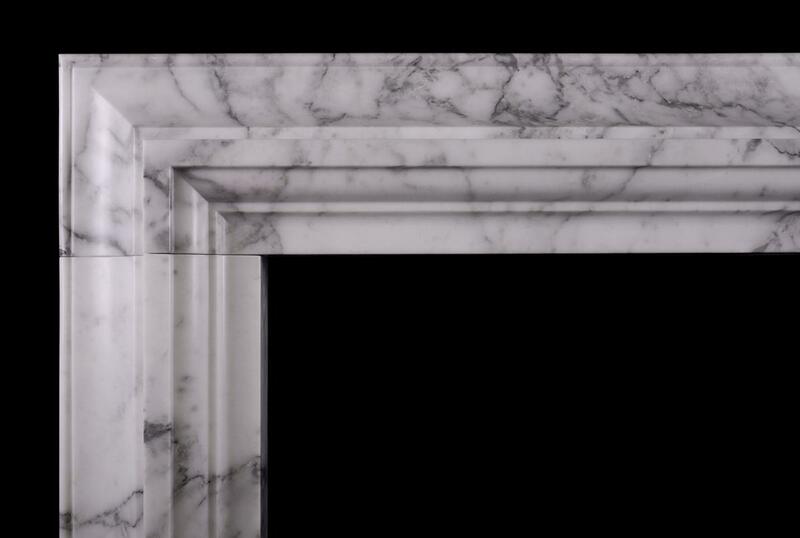 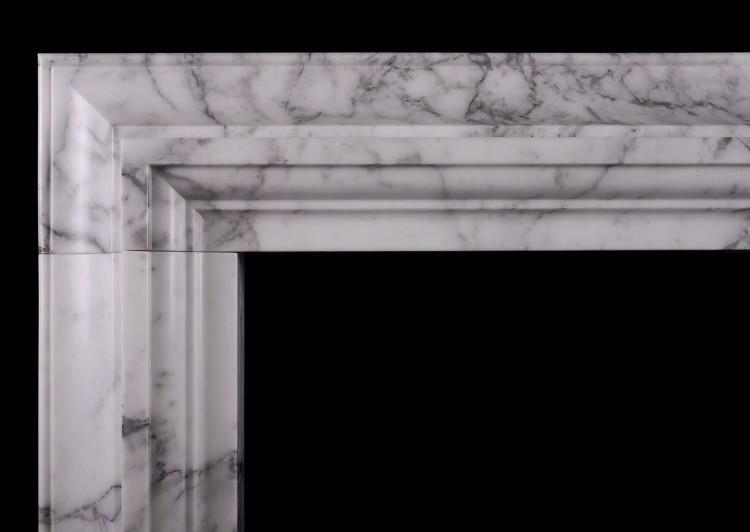 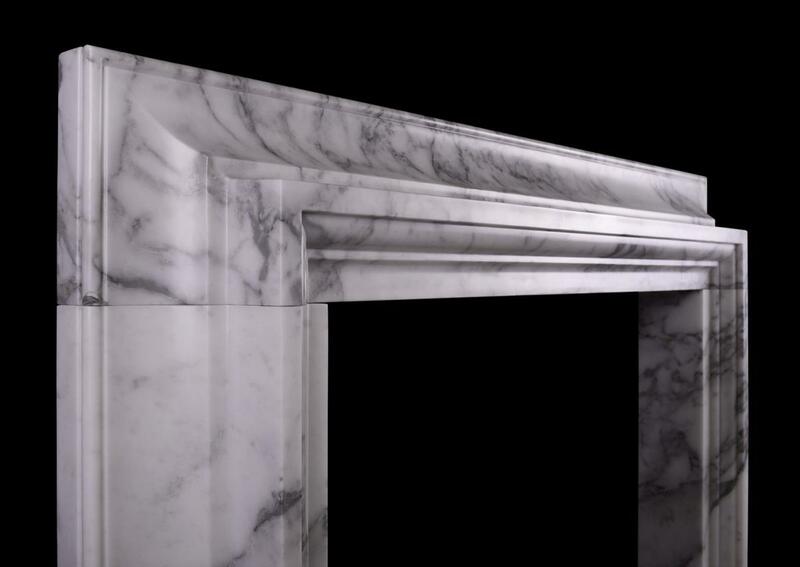 A stylish Italian fireplace in Italian Arabescato marble. Moulded frieze and jambs of architectural form. 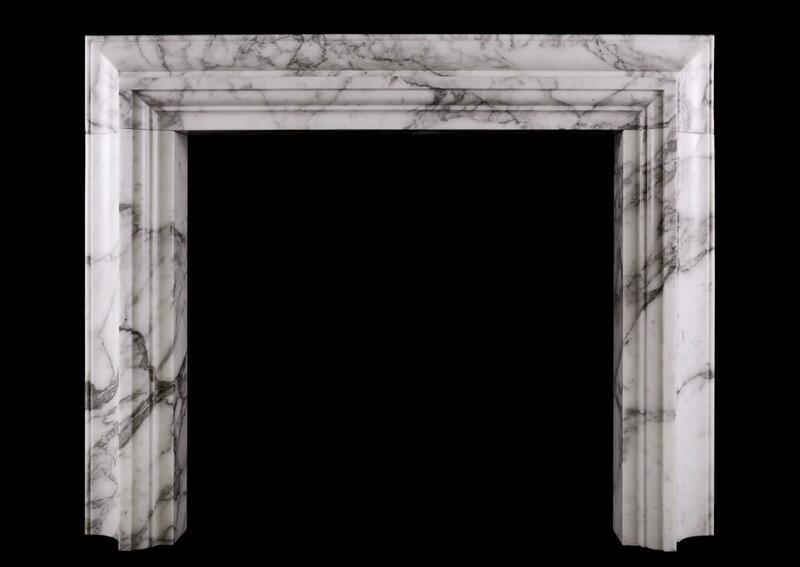 A copy of an original chimneypiece.